Bionaire Fans - Simple Effective Way to Cool Off. Bionaire Fans There are 2 products. Bionaire BW2100B Twin Window Fan with Digital Thermostat - the cost efficient air cooling solution to air conditioners. 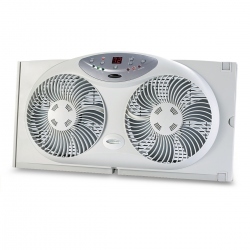 Bionaire BW2100B window fan delivers a stream of fresh outdoor air in hot and muggy weather conditions. 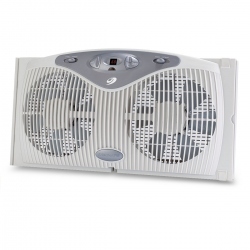 Bionaire BW2300 Remote Control Twin Window Fan with Digital Thermostat provides maximum convenience and comfort while delivers a stream of fresh outdoor air in hot and muggy weather conditions.